Hola Cottage Fix friends! Have you heard about the East Coast storm they forecasted on the news? Well we’re right in the midst of it here on the coast of Virginia. We’re not getting hit nearly as bad as the folks up north, but the roads are covered in ice and snow. Our cozy little cottage is surrounded by a layer of icey cold. I went to the supermarket to stock up on supplies on Thursday, though I wasn’t really sure what supplies to get. But they say that’s what to do. So I did. When I got there it was nuts, everyone was going crazy loading up their carts. Oh dear, the pressure. What was the right thing to get? I ended up with a giant ham (it’s in the oven now), Ghirardelli chocolate brownie mix, milk, eggs, and spinach. I also got a sourdough loaf from the bakery, mostly because my madre was talking about sourdough earlier that day and I hadn’t stopped thinking about it. I meant to get chocolate bars and flowers, but I didn’t think about it until I was already in the never ending line. No way I was going back in at that point! So we’re doing pretty good here. We had brownie sundaes last night and the giant ham is smelling delicious. I lit the white candles lining our mantle and honey’s manning the fire. Luckily our 16 year old son split firewood after school yesterday when the snow first started to fall, so we’ll be keeping nice and warm. We ventured out for a walk this morning. And although it started out fun, by the time we headed back home my toes were frozen and I couldn’t feel parts of my face. I’m no good in the cold. So basically I haven’t left the house for two days, except for our little walk this morning. I’m looking forward to the sunshine they’re calling for tomorrow. Hope you all are staying warm. 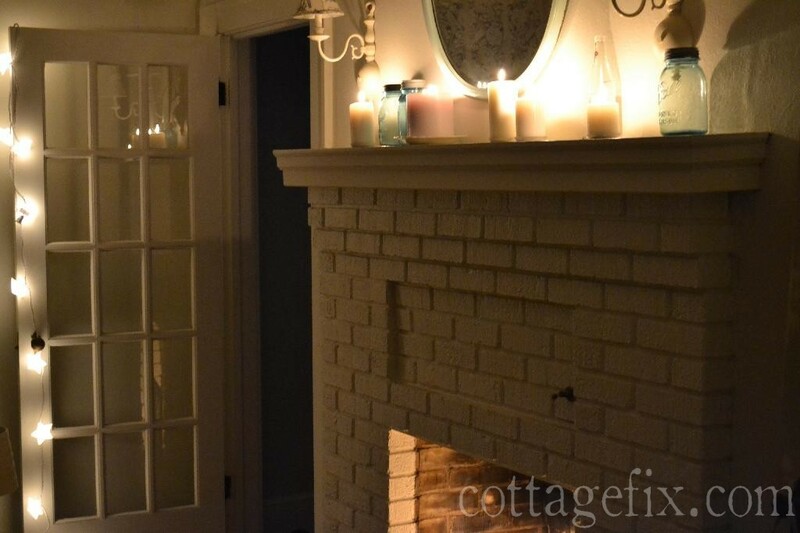 Oh my goodness, your cottage does look so warm and cozy with the fireplace going! I’d be staying inside also and my supplies would definitely include a box of wine:) Stay warm and safe!!! Your cozy home looks like the place I’d love to be in a snow storm…especially with the food goodies you picked up! 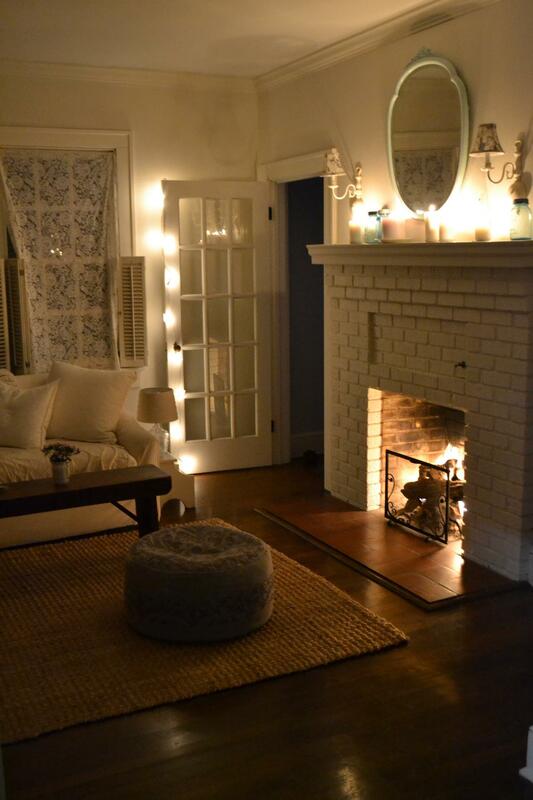 Your home looks like just the place to snuggle up near the fire and enjoy the weather from indoors. I saw on the news that grocery stores were being picked bare, so it’s a good thing you got out and stocked up. Enjoy your ham dinner! Your house looks so pretty lit with candlelight! 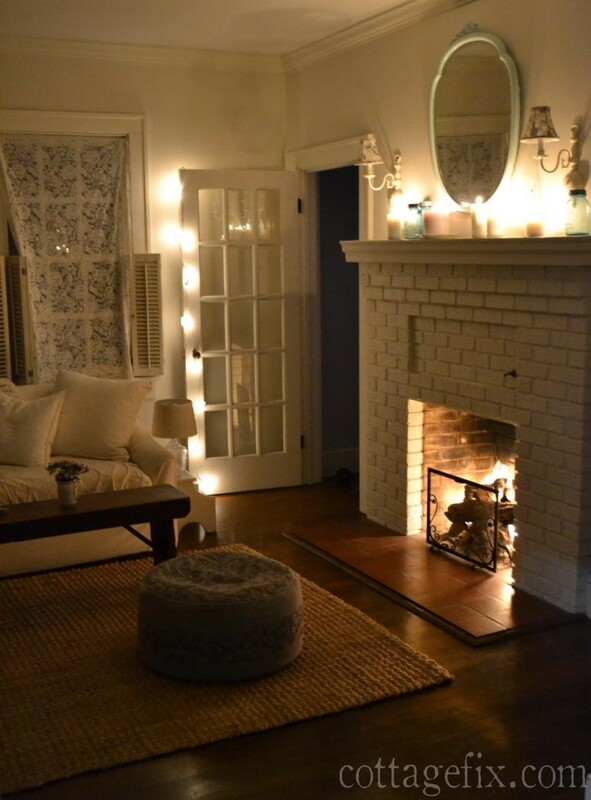 Home sweet home here, love the mantle and fireplace burning, it really looks as cozy as can be, if you end up with a power outage you will have plenty of fire light to read by. As for your storm food and stocking up, it sounds like you stock up like my daughter and I, what’s a storm without great breads, and fudge brownie mix? Chocolates and marshmallows and grams for fireplace s’mores would have been on our indoor camp out. Love your cottage in the sunny day light and in the dark of snow filled grey days. 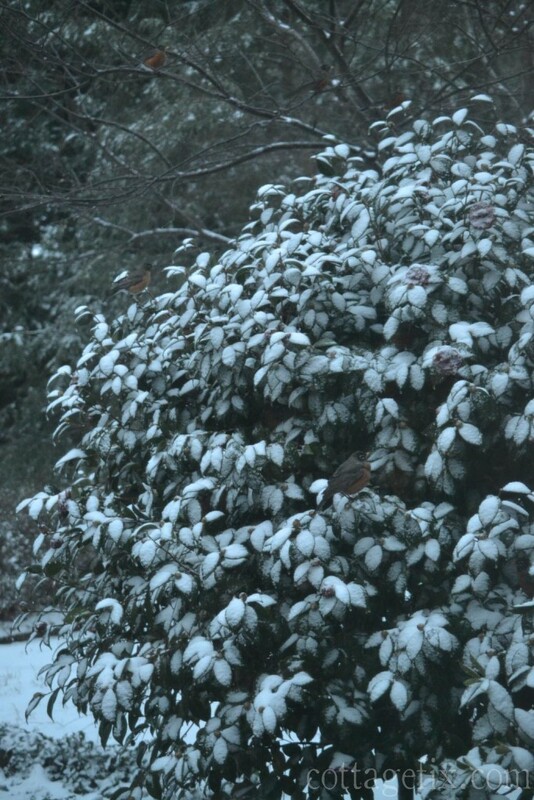 Enjoy the ham left overs, and your cold winter days, please send ups some of your snow to sunny California, yet we too are hitting our season of colder greyer days and a bit of dusting of frosted snow covered days. I love what you bought at the store…especially the brownies 🙂 Your cottage looks very cozy with the firelight and candles. We have snow and ice here now, too, but not as much as you do out east. Stay safe and warm! 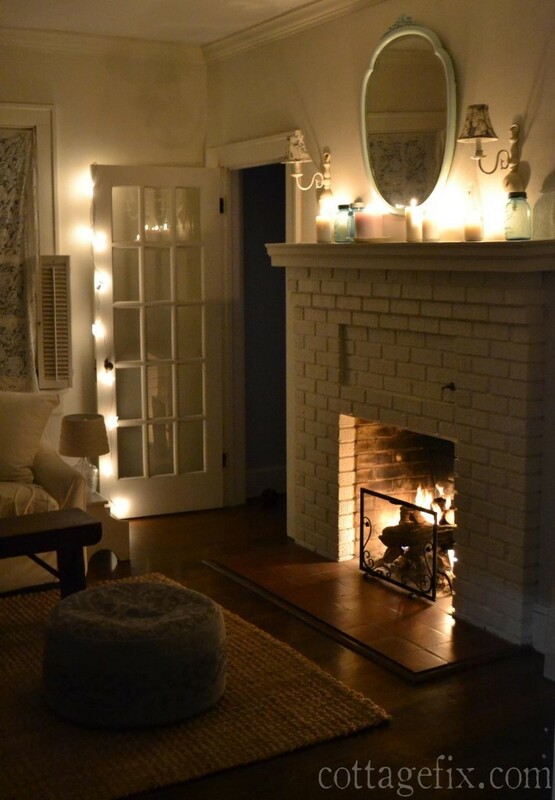 Your home looks so cozy by candlelight! Sounds like you made the best of the situation that you could. I like a couple days of snow but then I’m ready to get back to normal. We just got a light dusting. We’re now enjoying some warmer temps but we’re getting rain. 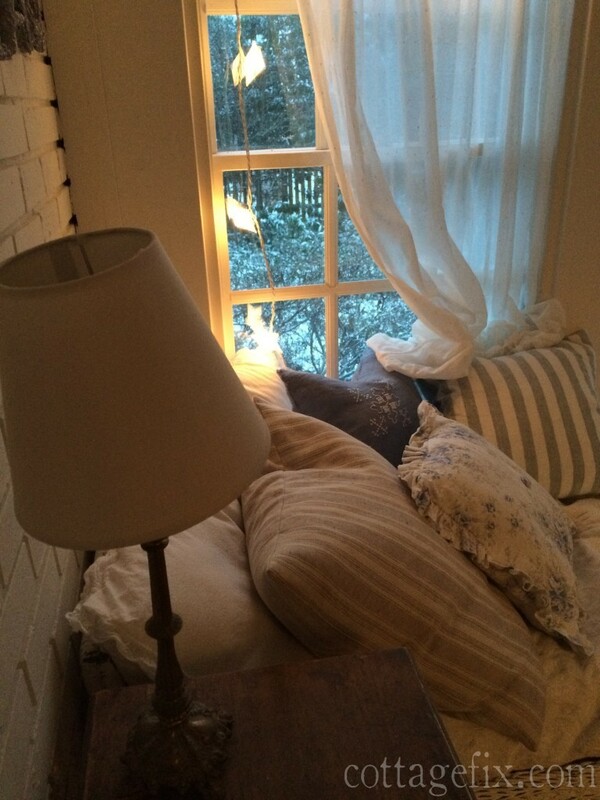 Glad to hear your weathering the storm ok. from the cozy looking photos of your home it looks to me like you know just what to do when it’s nasty outside!